Industrial gases continue to gain prominence in East Europe markets, where the region shows strong revenue increases and still plenty of room for maneuver in the future. 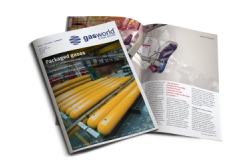 The ever-expanding Eastern Europe gases market continues to demonstrate its growth and potential as this hub of development boasted a gases business valued at over $2bn in 2006. 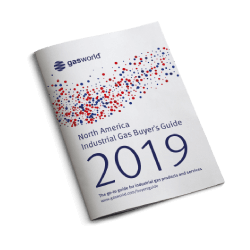 The majority of the gas majors are currently clamouring to invest in projects in the region and exploit its array of opportunities, as reflected by overall growth in the market of 18% last year. Central Eastern Europe (CEE) countries are still the predominant growth drivers in the region, led by Poland, the Czech Republic and Hungary. While it is expected that the Polish gas market will fall short of capacity in 2008 and increasingly rely on imports, the country has reported a 16% increase in gas revenues and was recently buoyed by the introduction of a new liquefier by Air Products. The company announced in November a new liquefier to generate an additional 400 tpd of industrial gases to meet the fast growing demand in Polish manufacturing sectors. Scheduled to be on-stream in 2009 and subject to authority approval, the new unit will be located at the company’s Kedzierzyn facility in the south of Poland and will take total capacity for oxygen and nitrogen products to 800 tpd. The food industry represents a key area for investment and gases demand in Poland. Pepsi Cola operates an aseptic filling plant in the country for mineral water and this provided Messer Polska with a supply contract for 1.5 million m3/a of nitrogen for sparging last year, reflecting the diverse demand for industrial gases in the region. 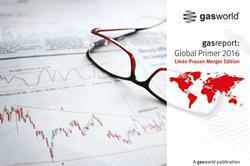 With 2006 gas revenues of $360m, the Czech Republic experienced a growth of 23% for the year and is a market dominated by German-based gases giants The Linde Group and Messer. Local seamless steel cylinder manufacturer, Vitkovice Cylinders, last year celebrated the production of its 10 millionth gas cylinder and sees the Czech manufacturing market blossoming in the coming years. Vitkovice produces seamless steel cylinders for technical gases and compressed natural gas (CNG) and exemplifies the manufacturing growth in the country, having recorded a 31% year-over-year growth for the first 6 months of 2007. Coupled with Poland and the Czech Republic, Hungary is one of the key growth drivers in the region and boasted the third largest revenues rise of the CEE countries in 2006, up 17% to reach $247m. Messer is again one of the predominant players here, and having previously noted that the area is one to watch, now reports that growth in Hungary has slowed just as it has in Bulgaria. The company has recently announced however, that it has won a new contract in the country to supply a research laboratory with a range of gases. Linde is perhaps the biggest participant in the expanding and evidently valuable Hungarian market, with a huge 54% market share. With revenues of $247m in the country, investment is rife and in June/July 2007 The Linde Group underlined its commitment to the area further, after announcing a deal to extend its cooperation with leading chemical company BorsoChem Zrt. Relating to the supply of industrial gases to BorsoChem’s main production site in Kazincbarcika, the 2 companies declared the intention to enter into a long term supply agreement for the additional supply of 150,000 tpy of carbon monoxide and hydrogen to BorsodChem’s expanding isocyanate production site. In terms of other nations comprising the CEE, despite Bulgaria reportedly suffering a slowth in its growth the country recorded gas revenues of $47m in 2006 and rose by 37%, according to figures from the Spiritus Group. Such increases compare favourably to the Central Europe area as a whole and also dwarf those of neighbouring countries. Slovakia experienced a 15% rise in revenues in 2006 to record figures of $94m, while Romania enjoyed a similar rate of growth at 16% and a market valued at a healthy $129m. Messer clearly sees the country as a healthy area for investment, exemplified by its announcement last summer of its first own production plant in Romania, scheduled for July 2009. The €20m air separation plant will produce nitrogen, oxygen and argon for local manufacturers and medical oxygen for hospitals and the healthcare sector. 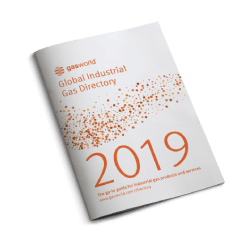 As is the case across many regions in the world at present, the steel and metals production industry continues to push demand for industrial gases and is still one of the main growth driver businesses. 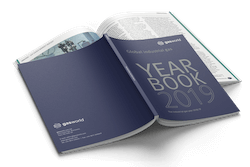 The Czech Republic has traditionally been one of the biggest steel producers in Central Europe, however steel production and steel processing (as explored in February’s gasworld magazine) also offer strong growth potential in Southeastern Europe. ArcelorMittal, one of the world’s largest steel/metals manufacturers, is expanding production at its Zenica steelworks in Bosnia-Herzgovina and has negotiated a supply contract for oxygen and argon with Messer, in order to meet its industrial gas requirements. Yet the steel and metals production business isn’t the only growth driver for the Balkans segment of the region. This collection of countries recorded an 18% rise in revenues overall with Bosnia-Herzegovina and Slovenia displaying the strongest performances. Slovenia enjoyed a 23% increase in revenues to reach $65m, while Bosnia-Herzegovina grew by 26% to achieve a market value of $16m. Other notable performances include Croatia, where a 17% increase in revenues resulted in a market worth $62m in 2006, and Serbia/Yugoslavia which profited from a 15% increase to reach revenues of $54m. 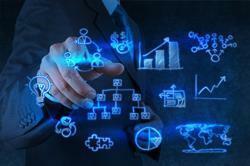 It is in these markets where differing applications are driving growth. Messer Serbia reports that it has put several liquid nitrogen injectors into operation in the country’s soft drinks industry, where nitrogen is used to in the bottling of soft drinks to preserve flavour and prolong shelf life. Messer Tehnogas has also signed supply contracts for carbon dioxide and nitrogen in Serbia, for sparging. 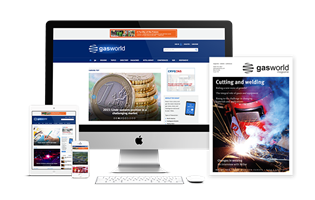 gasworld reported in September that Air Liquide had successfully founded its Serbian subsidiary in Belgrade and signed a contract to provide its services to Bulgarian company Monbat. Manufacturing accumulator batteries for various applications, Monbat has been a customer of Air Liquide Bulgaria since 2005 and the Serbian subsidiary will supply high volumes of liquid oxygen and provide related services. In Croatia there are an array of industrial gas demands to cater for, as Messer Croatia Plin can testify. The company has signed contracts with its customers for 4 different areas of application including drinks carbonation, banana ripening and modified atmosphere packaging using nitrogen and carbon dioxide. 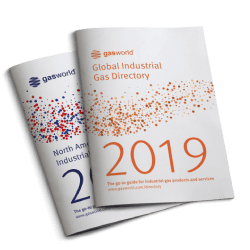 Perhaps the most promising area for growth and industrial gas demand in Eastern Europe, is Russia and the Ukraine - where steady revenue rises were exhibited. Russian gas revenues totaled $400m in 2005 and received an increase of 15% in 2006, adding up to a value of $463m, while the CIS region as a whole also witnessed a 15% rise. 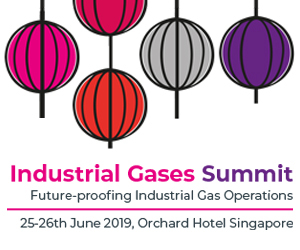 Investment in the CIS had previously been looked upon as less than stable, yet there is currently a sense of great optimism as the demand for industrial gases in the region continues to flourish. This has not stopped such gases luminaries as Air Liquide from investing here either, as reflected by last year’s launch of the world’s largest air separation unit in the steel industry. Air Liquide and Severstal, Russia’s second largest steel company, launched the unit in Cherepovetz in a €100m project and the deal firmly anchors the French company’s position in the Eastern Europe market. The company apparently intends to increase its presence in Russia, with up to 15 projects thought to be underway as part of its search for new partners in the country. Air Liquide has shown commitment to the neighbouring Ukraine too, having recently celebrated 15 years of business in the country and built an ASU capable of 60,000 m3/hr of oxygen at the Illich metallurgical plant. The cost of equipment and construction of the ASU was expected to reach approximately $1m, yet experts anticipated an immediate economic effect in the Ukraine – a gases market which rose by 15% in 2006 and was valued at around $55m. An increasingly prominent player in the Eastern Europe market is Russian company Cryogenmash, a fairly recent entry into the industrial gases business and active in a number of areas. As recently as last month the company announced a contract for the delivery of an air separation plant for ZAO “Donetskstal” Metallurgical Works in the Ukraine, scheduled for operation in September 2009 and a sign of the group’s growing status.